‘Yantra’ is a Sanskrit word, and the name given to diagrams which act as representations of the divine and as aids to meditation. 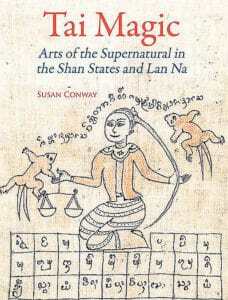 In Thailand and Burma, however, they are also called ‘yan’ and relate to invulnerability and magical powers. 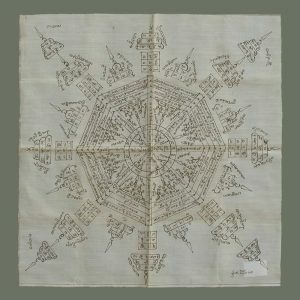 Drawn by spirit doctors or special monks directly on the body as tattoos, or on highly idiosyncratic, talismanic textiles, these diagrams are imbued with considerable meaning and power. 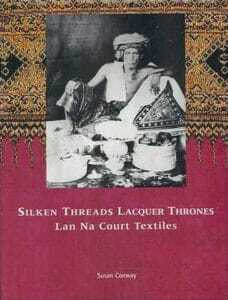 As textiles, they can be in the form of simple squares or rectangles, or as clothing worn by men, usually shirts. No longer worn by the men in Thailand, who prefer tattoos and amulets, these pieces represent an important, but disappearing, textile genre, and pieces of this quality and condition are not easy to find.